Madeira Optical Optometrist Office and Designer Eyewear Shop in Cincinnati Grand Opening at 7800 Laurel Ave.
Madeira Optical is now open at 7800 Laurel Ave, Madeira, OH 45243. The new address features many patient-centric upgrades, including a larger designer optical, dedicated contact lens room and a second state-of-the-art exam lane. Early feedback on the Laurel Ave. space has been very good” said owner Malinda Pence, OD. “The new office allows us improve patient care in a more relaxed and efficient layout. In addition to the new state-of-the-art optometric equipment, the new location at 7800 Laurel Ave. has an expanded optical shop. Madeira Optical features designer eyewear from Kate Spade, Lafont, Modo ECO, Ogi, Salt Optics, Silhouette Rimless and Tory Burch plus sunglasses from Maui Jim, Tommy Bahama and Zeal. 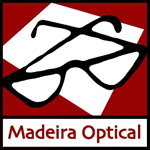 Founded in 1956, Madeira Optical is a family Optometry practice serving pediatric through senior vision patients. Most vision insurance is accepted, including Vision Service Plan VSP, Eyemed, United Health Care, Anthem, Cigna, Aetna and Medicare. Madeira Optical is committed to a seamless transition for patients. 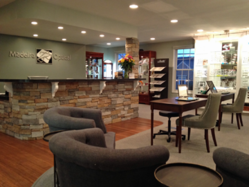 For more information, please call (513) 561-7076 or visit http://www.madeiraoptical.com.